La Reinita is a contemporary twist on the traditional Mexican paleteria. We serve small-batch ice pops, ice shaves and poptails from our beachside parlour overlooking the pacific sands of Sayulita. Owner and founder Luisa Viteri develops her recipes using locally sourced ingredients to create flavors that are never compromised with additives, preservatives or emulsifiers. La Reinita melds delicious fruits, nuts, herbs, spices and often a splash of liquor, to create rich ice pops and shaves that celebrate the finest ingredients on earth. 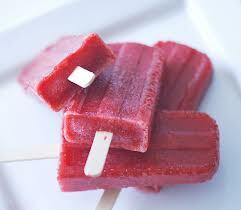 We are changing the way people eat and think about this nostalgic treat one ice pop at a time.